Last Day of Freedom is a haunting animated film about a veteran sent to death row. Somewhere behind the theatricalities of halftime in America lies the broad playing field of real life, and its landscape of worsening resource inequalities, unattended infrastructure, and simmering racial resentments. Is there nothing that can connect our national cinematic appetites with the urgent need for serious political address? 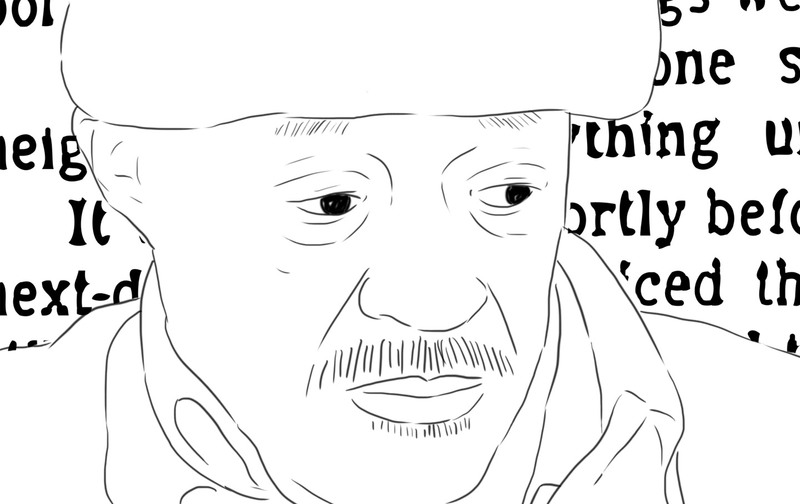 Last Day of Freedom, an exquisitely rendered 32-minute animation, presents the life of Manny Babbitt, a homeless, mentally challenged, traumatized Vietnam vet who, in a PTSD panic induced by oncoming headlights, ran off the street and into the home of Leah Schendel, an elderly woman, whom he struck repeatedly. She died of a heart attack at the scene. The film is narrated by Manny’s brother Bill, who turned him in to police—“I had to be responsible”—hoping against hope that he might be hospitalized and get treatment. Instead, he was defended by a drunken lawyer who called no witnesses and excluded “niggers” from the jury. Manny was executed in 1999, one day after his 50th birthday. The story is a sad but familiar one from a statistical perspective: Manny was swallowed in a vortex of legal, political, and social failures. He was injured in a car accident when he was 12 and suffered traumatic brain injury that severely hobbled his intellectual abilities. He joined the Marines despite failing the eligibility test—and became one of the hundreds of thousands of men who were drafted during the 1960s despite not meeting basic mental or physical requirements. Nicknamed McNamara’s “Moron Corps,” these people were conscripted as part of President Johnson’s backdoor attempt to field sufficient numbers of soldiers on the ground in Vietnam. Manny served several tours of duty in Khe Sanh, enduring some of the bloodiest battles of the war. By the time he returned to the States, with shrapnel embedded in his skull, he was “chasing shadows”—paranoid, homeless, and unable to hold a job. His brother Bill took him in, but in those days the symptoms of PTSD were not widely discussed or recognized. Manny went untreated. In addition to its compelling narrative baseline, Last Day of Freedom’s visual artistry is stunning. Coproduced and codirected by artists and filmmakers Nomi Talisman and Dee Hibbert-Jones, it is all the more remarkable for its being the first film both women have made on their own. Animated film is a genre we too often associate with children’s fare: upbeat, reductive, unremittingly colorful. But Last Day of Freedom uses simplicity of form to very different dramatic effect. Drawn almost entirely in black ink on white background, it deploys subtle visual cues: a few foggy smudges, a bit of play with font and thickness of lines, the rare dollop of red. This works to filter out distraction somehow. The economy of line focuses attention, like haiku. It is as though we are inside Bill’s head, quietly reliving a nightmare, the rise and fall of his voice summoning only so much of the dream as he can bear. This restraint in presenting the mere outline of his memories makes Bill’s story not merely personal, but politically haunting; not just tragic, but evocative of universal human complexities. Watching this film will remind you of all that remains unsaid—on all sides—in our current political food fight. Hopefully, it will also push us to insist upon debate that addresses the actual consequences of governance bewildered and thus held unaccountable for its flaws.